Bendheim Cabinet Glass offers homeowners quality cabinet glass and door glass inserts from the leader in specialty glass since 1927. Bendheim Cabinet Glass is a division of S.A. Bendheim Ltd. - the nation's leading supplier of specialty glass to architects, designers, contractors and homeowners. 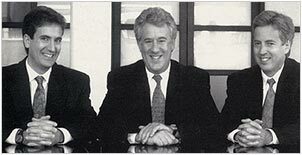 We are experts in the glass industry and a family owned third generation business. We take pride in providing our customers the finest glass and craftsmanship accompanied by outstanding service. Our extensive knowledge of glass provides you with the understanding and ability to build the bridge between your mind's eye and reality. Our extensive selection of cabinet glass and door glass inserts in our online product catalog shows the study and care we put into bringing you the finest specialty glasses from around the world. All our cabinet glass and door glass inserts are imported, stocked, processed and carefully packed in our New Jersey facilities. We ship internationally. Our strict quality control and custom packaging ensure you receive the finest quality glass on time and intact. 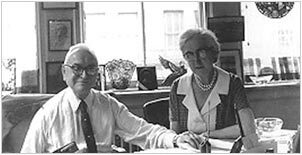 Our founders, Sem and Margaret Bendheim, established the company as a wholesale art glass business in Greenwich Village, New York City. Now in its third generation, Bendheim continues supplying the world's finest specialty glass to architects, designers, and home owners. Thank you for choosing Bendheim. Call us at (800) 221-7379, Option 6 (9:00 am - 5:00 pm EST) to learn how Bendheim Cabinet Glass will work for your design project. We invite you to click here to browse our online glass inserts gallery and begin your selection process. You can also contact us through our online form. We are at your service.